The CPD Advisory Board's position paper asserts that public diplomacy is America's best foreign policy tool. To download a PDF of this paper, click here. At a time when disinformation and fake news too often corrupt communication channels, delivering the truthful and authentic American message is needed now more than ever. American public diplomacy – our nation’s outreach to peoples around the world – is the prime channel for communicating this message. It is essential to this country’s national security and should be vigorously championed by President Trump’s administration and Congress. Diplomats representing the United States are solid professionals, skilled in advancing American interests. Their work requires support from the White House and Capitol Hill; not extravagant expenditures, but just baseline financial and political support. The value of public diplomacy has risen steeply in light of the strategic challenges as well as opportunities currently faced by the United States. This working paper presents suggestions about the purposes and future direction of U.S. public diplomacy. Through messaging and other means, U.S. public diplomacy can counter the claims of violent radicals, whether they be jihadists, neo-Nazis or other extremists whose activities threaten U.S. national security. Traditional and new media provide venues through which the United States should debunk the recruiting appeals of these groups and suggest positive ways to channel political energy. Most important is to provide tangible incentives for young people to make productive life choices related to education and employment that will negate the allure of radical messages. Public diplomacy programs that encourage entrepreneurship and job-related training substitute hope for frustration and are among the tools most likely to stifle the spread of extremism. The marketplace of ideas is a lively, competitive environment, infused with rivers of material flowing through new information and communication technologies. To play a dominant role, the United States should use physical and virtual venues to tell America’s story convincingly. The “American Corners” program should be expanded, physically where possible and virtually in ways that ensure universal access to material that explains America in straightforward ways, addressing topics such as the democratic system of government, the guarantees of freedom of speech and freedom of religion, and the treasures of American culture. The American story is in itself a powerful but underutilized asset. Supplementing this should be programs that foster expanded transnational entrepreneurship and other business opportunities. People throughout the world – especially young people – want to use their energy and imagination to improve their lives and the lives of their families. Technology-oriented workshops in Africa and elsewhere are helping to spread the American “can-do” spirit, fueling aspirations, providing hope and contributing to the development of enlightened civil society institutions. 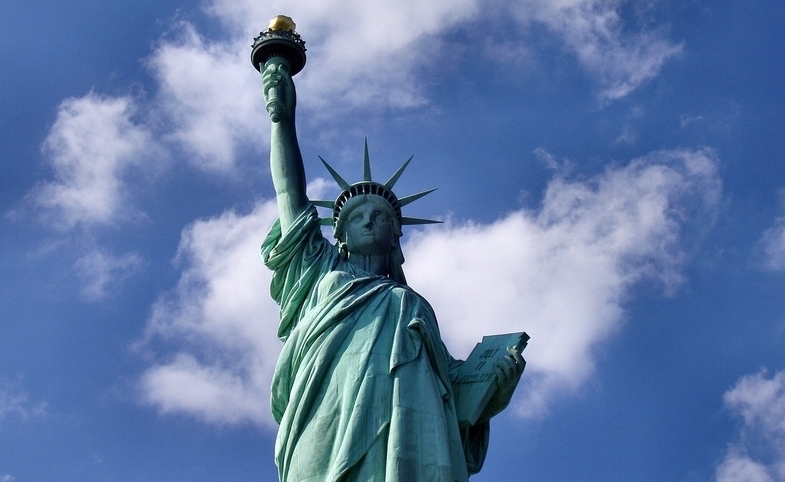 America must remain a shining example of how tomorrow can always be better than today. Some of America’s greatest assets are underused. Our international broadcasting could be expanded to more fully take advantage of social media’s growing audiences and to more assertively counteract other governments’ adversarial messaging. Our education system, our cultural offerings and our scientific acumen are envied throughout the world. These attributes should be more fully highlighted in U.S. public diplomacy. Academic exchanges of students and faculty allow people from throughout the world to see first-hand what America is like and to let their U.S. counterparts gain valuable knowledge about other countries. Cultural exchanges similarly send American music, art, cinema, sports and other elements of American life around the world and encourage other nations to reciprocate. Scientific exchanges allow the top minds of numerous countries to work together to address the world’s most challenging problems. Investment in all of these programs pays enormous dividends in these fields and in reducing tensions and improving individuals’ lives worldwide. When the people of countries understand each other, they are more likely to want to cooperate with one another and are less likely to base opinions and policy on erroneous judgments built upon stereotypes and false information. At the heart of public diplomacy is connecting directly with people, not relying just on working with their governments. This expands understanding and fosters cooperation in a bottom-up way that may ultimately help shape policies of those governments. Public diplomacy extends the U.S. presence in constructive, non-threatening ways that build positive perceptions of America as a leader in many fields, as characterized by its history, its policies, its culture, its private enterprise and much more. If America’s core values are among this country’s greatest assets, they should be communicated more effectively so they will inspire emulation and appeal to the aspirations of people throughout the world. Values arise from a shared belief in a set of norms that enable a nation to function stably and peacefully. They cannot be imposed on other countries; they are communicated by example. We Americans might take freedom of speech, freedom of the press, religious freedom and our other liberties for granted, but in much of the rest of the world, when they are understood, they inspire awe. Further, American culture – education, entertainment, sports, the arts, free enterprise, technology and other facets of American life – have made lasting impressions across the globe, stirring imagination and admiration. Exchanges in these fields are relatively apolitical and therefore more likely to attract those otherwise wary of being politically manipulated. At the heart of U.S. public diplomacy is sharing our foundational values and achievements with foreign publics and governments. Such efforts require sophisticated skills, careful planning and, yes, resources. Public diplomacy has been a central element of American foreign relations since Benjamin Franklin’s day. And now, with the State Department and the Broadcasting Board of Governors taking the lead, public diplomacy is an all-of-government enterprise weaving throughout the work of a dozen agencies and departments. Its success also depends on the involvement of the private sector – corporations, nongovernmental organizations, universities and individual citizens. All play a consequential role in conveying America’s positive message abroad. This does not happen in a vacuum. It requires the support of the White House and Congress as providers of leadership and funding. As the Trump administration’s foreign policy continues to take shape, public diplomacy must not be neglected. In September, the president nominated an Under Secretary of State for Public Diplomacy and Public Affairs, but other senior positions in the State Department should be filled promptly so public diplomacy can be fully integrated within the overall foreign policy apparatus. In tandem with that, Congress should dispel budget uncertainty by funding public diplomacy and aid programs at a meaningful level. Universities and think tanks are ready to assist; public diplomacy is a growing academic field, and an expanding cadre of policy experts broadens the availability of public diplomacy expertise. Public diplomacy is not an afterthought in our international relations strategy. It is designed to forthrightly advance American interests. Peace is achieved through strength, and the use of public diplomacy must reflect this. Directly or indirectly, every well-crafted public diplomacy program enhances America’s national security. That is why public diplomacy is so important and why it deserves the attention and support of the Trump administration and Congress. The world is a perilous place, and from America’s standpoint public diplomacy can make it less so. It is time to move forward.